Our Regional Multiple Listing Service (RMLS) recently released figures on the greater Wilsonville housing market, which includes Wilsonville Meadows. In short, the positive trend continues. Read the full Portland metro area real estate report here, with Wilsonville Meadows area market information highlighted below. A low supply of available homes continues to drive prices higher around Wilsonville Meadows. That’s because a market inventory of between three and six months is considered a ‘normal’ housing backlog. For more than two years, our regional home supply has been below three months. These new numbers reveal home prices around Wilsonville Meadows are up 6.7% over the past year. The average home sale market time for our area is now 30 days. The average selling price so far this year is $412,400, with the most recent monthly average home sale price coming in at $434,400. If you’ve considered selling your Wilsonville Meadows home, our present ‘seller’s market’ could make for good timing. Contact our WilsonvilleMeadows.com sponsor, Wilsonville’s own Certified Realty using the form below for a free consultation, or call 503-682-1083. Sometimes absorbing the sea of Wilsonville Meadows real estate information seems more like drinking from a fire hydrant. Yet, out of all the seemingly helpful real estate data bandied about, there is one especially helpful number, which when understood, can provide near-magical clarity to both Wilsonville Meadows homebuyers and homesellers. Listen to the audio podcast presentation of this helpful program on Wilsonville Meadows real estate by clicking here or on the above link. Housing inventory is also sometimes known as home inventory, real estate inventory, or housing backlog. Why is this number so important? Once you understand the single figure that defines our current supply of local available Wilsonville area homes for sale, you have an instant ‘snapshot’ on whether you’re in a buyer’s market, seller’s market, or more of a balanced real estate market. Armed with that information, you’re far more ready to do battle in the real estate trenches and more likely to avoid some usual minefields. Among real estate experts, a ‘normal’ range for home supply in parts of Oregon is frequently cited as somewhere between three to six months. For example, if the home supply figure is three, then hypothetically our market would be ‘out of homes’ in three months, provided no new homes were placed for sale. 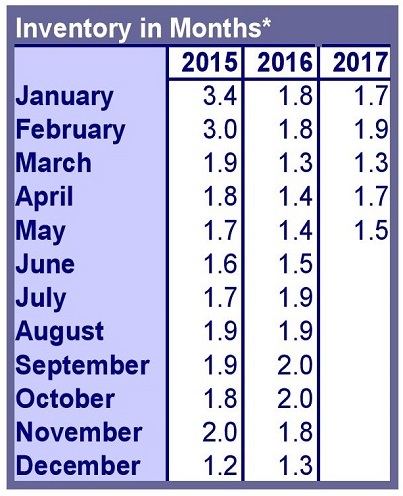 In other words, if our regional home inventory figure is within three to six months, we’re typically experiencing a normal market, meaning one not far from a balance of supply and demand, also called equilibrium. In a way, it’s kind of like an absorption rate for how fast supply is used up. It’s helpful to understand that home inventory figures are more of an average for a region. In Oregon, major real estate regions include Portland, Bend, Eugene, Salem and the Oregon Coast. So Wilsonville Meadows homesellers and homebuyers are likely to use the Portland area figure as the bellwether for housing backlog. If your home is located in Keizer, you’re likely to see the Salem inventory figure as the closest approximation of local home supply. It’s also likely that your specific area could be somewhat different altogether, based on a variety of hyper-local factors affecting both demand and supply. That said, home inventory is a convenient ‘thumbnail’ sketch to help assess what kind of market you’re in. 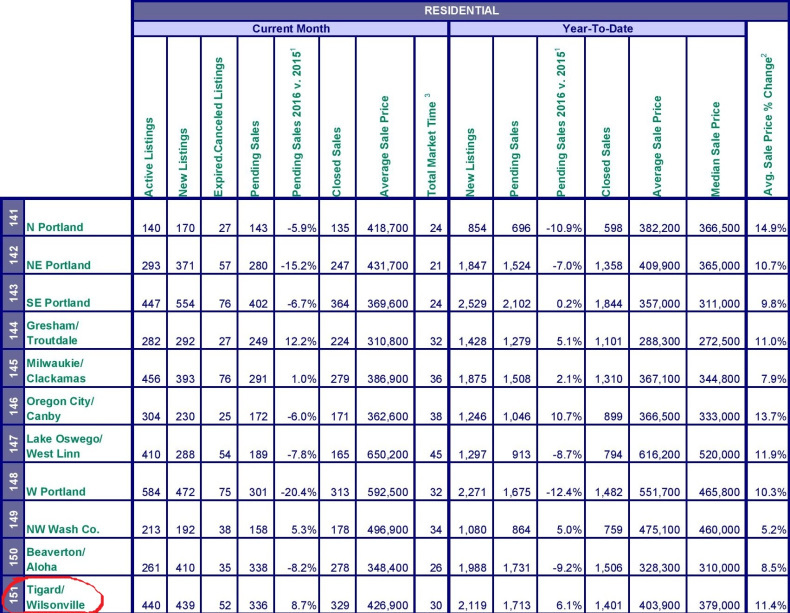 What’s the Big Deal About Wilsonville Meadows Housing Inventory? One reason Wilsonville Meadows housing inventory is so important is because it helps buyers and sellers to better manage expectations. Most buyers are interested in how long it may take to find the ‘right’ house. Inventory affects this. Alternatively, most sellers are interested in how long it may take to find a qualified buyer. Inventory affects this, too. The above image provides a good example of fluctuating home inventory. As greater Wilsonville’s real estate market bounced back from the severe market downturn of the Great Recession, home inventory reduced from more than 20 months of housing supply to less than three. Thinking about selling your Wilsonville Meadows property? Know the market before diving in! Contact Wilsonville’s very own Certified Realty with your questions and for a free consultation on what your Wilsonville property could sell for today using the contact form below or call (800) 637-1950. New real estate figures for our local Wilsonville, Oregon market were just released. Click here or on the ‘play’ button below to hear a brief audio summary of this latest Wilsonville Homes report. One significant change found in this new report is a nearly 25% increase in our regional inventory of homes for sale. This is likely in part due to the more than 11% annual increase in home prices both in Wilsonville and the greater Portland area. View the complete Wilsonville, Oregon real estate report from the Regional Multiple Listing Service here, or simply click on the above ‘Market Action’ image. This report includes fresh market information on the Wilsonville area, plus the entire Portland Metro, too. Thinking about selling your Wilsonville area property in this still strong seller’s market? Contact our sponsor, Wilsonville’s very own Certified Realty using the convenient contact form below for a free report on what your property could sell for today. Just-released figures from the Regional Multiple Listing Service on our Wilsonville area housing market reveal continued scarcity of local homes for sale, with competition among buyers continuing to push prices up. Click here or on the ‘play button’ below to hear the audio podcast presentation of this article about our current Wilsonville real estate market. Here are the most recent key Wilsonville area real estate statistics. As a side note, neighboring communities like Tualatin and Tigard are included in these greater Wilsonville market statistics. As seen in the above table, our regional supply of homes is about half of what is considered to be the ‘low end’ of a normal backlog of properties. 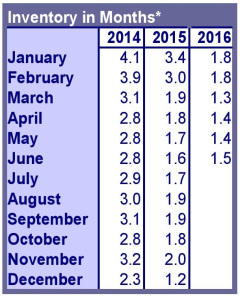 A ‘normal’ real estate market is typically 3 to 6 months of home supply. The above home price chart shows a clear upward home price trajectory for the greater Portland metro region over the past four years. 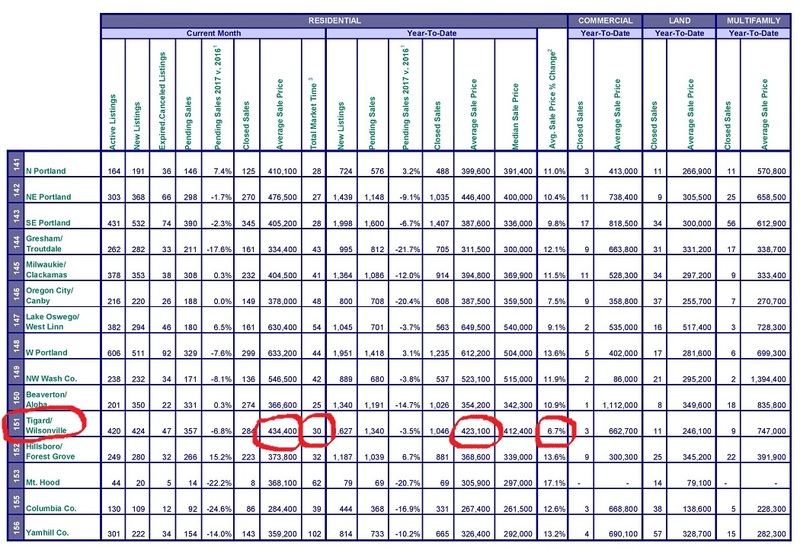 Wilsonville’s most recent annual home price increase of 11.4% is indicative of this regional real estate appreciation. Thinking about selling your Wilsonville home during this strong seller’s market? Home prices are up and buyers could be competing for your property right now. Contact Wilsonville’s very own Certified Realty using the convenient contact form below for a free home valuation today. Thinking about selling your Wilsonville Meadows home during this strong seller’s market? Home prices are up and buyers could be competing for your property right now. Contact Certified Realty using the convenient contact form below for a free home valuation of what your property could sell for today. Can I Trust My Wilsonville Meadows Realtor?